Explosive gas mixtures, vapors, mists, or dust clouds are produced as a side effect of production in many branches of industry. These include the pharmaceutical and chemical industry, the printing and paper sectors, but also areas such as cereal or sugar processing. In these companies, intralogistics trucks must guarantee the maximum level of explosion protection in order to avoid accidents. 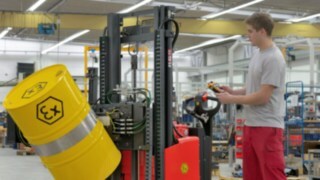 Numerous counterbalanced trucks, reach trucks, pallet stackers and pallet trucks from Linde Material Handling are therefore available in explosion-proof “Ex” versions, meaning that the entire material flow in a company can be conducted under explosion-proof conditions. Components which could trigger sparking, such as drive components, wheels, or even lifting forks, are protected through surface treatment. In addition, the surface temperature of individual truck components is regulated in order to prevent overheating. Despite this additional equipment, the trucks retain the cost-effectiveness, handling performance, and ergonomic design typical of Linde. 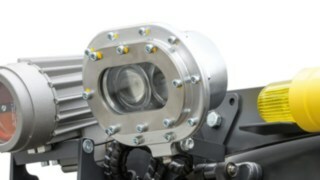 The legal requirements for explosion protection are constantly being further developed and standardized. It is important to implement these promptly and correctly. The Linde trucks and warehousing equipment with explosion protection, as well as the corresponding documentation, are all state-of-the-art. They comply with the EU regulations on use in potentially explosive atmospheres (EN 1755) and the ATEX Guidelines 2014/34/EU. CE conformity is ensured by the use of harmonized standards in the development process. 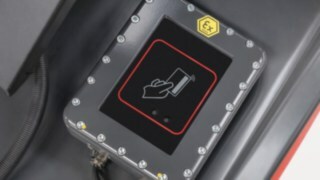 All relevant components, devices and modules, as well as the whole truck must undergo a type test or be certified by an accredited, reputable testing center. 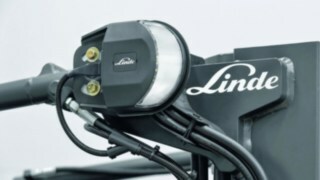 Linde provides trucks for use in potentially explosive atmospheres due to gas, vapor or dust, which occur occasionally (Zone 1/Zone 21) or for a short time only (Zone 2 / Zone 22) during normal operation. Trucks in categories 2G/D and 3G/D are adapted exactly to the corresponding conditions of use, which are derived from the customer’s explosion protection document. Linde trucks are specially designed to meet the requirements for working in potentially explosive areas and combine the familiar advantages of series-produced trucks with comprehensive explosion-protection measures pursuant to the ATEX product guidelines. Electrical equipment such as motors, controls, sensors, switches or displays are protected in using different protection measures. Linde uses flameproof enclosure, increased safety, intrinsic safety, encapsulation, sealed devices, non-sparking equipment and restricted breathing housings. Mechanical equipment is protected through constructive measures. 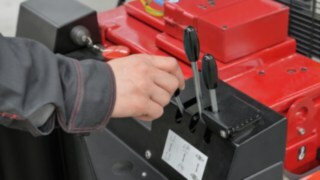 The formation of mechanical sparks is avoided on the forks and brakes. Plastic components such as floor mats, tires, tanks and seat covers are protected against hazardous electrostatic charges. Electronic temperature monitoring ensures that no excessively high temperatures are reached under extreme operating conditions. 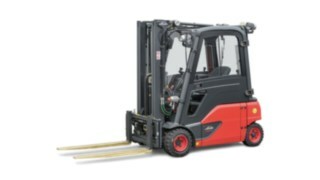 During the design of explosion-proof forklift trucks, Linde engineers use technologies designed for defined explosion groups and temperature classes. Depending on how sensitive an explosive substance is, it is classified into a particular explosion group. Substances in higher explosion groups, such as hydrogen, require more extensive protective measures on the trucks. The substances are also classified according to the temperature at which they become explosive as a gas or vapor. 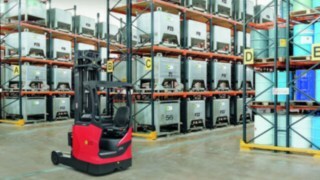 The components of the forklift truck are designed accordingly. Due to the close collaboration between the Linde Series Development and Explosion Protection departments, innovative assistance systems, safety features and special equipment for use in a potentially explosive atmosphere are made available in the shortest possible time. 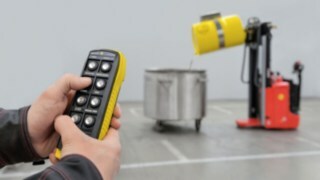 The selection of optional special equipment ranges from the Linde Connect fleet management system, to the Linde BlueSpot, and the new Linde VertiLight working lights. Fleets of standard and explosion-proof trucks can thus be equipped to the same comfort and safety standard. You can also rely on our strong service network when using the trucks in a hazardous, explosive atmosphere. Our service technicians are trained in accordance with international explosion protection regulations and ensure that your explosion-proof truck remains ready for use and that the statutory regular inspections are carried out without any problems. Analogous to the provision of spare series parts, Linde service partners worldwide also provide spare parts for explosion-proof trucks from a central supply which is available 24/7. These spare parts remain available long after series production has ended.